Most Virginia Main Street communities trace their beginnings to the mid-18th to early-19th centuries, when the line between commercial and domestic architecture was often blurred. This was especially true for taverns or ordinaries, which frequently occupied former residences. In fact, many tavern keepers simply rented houses in order to conduct their business. These ordinaries were some of the first businesses in many of the Main Street communities, especially those that served as county seats, river ports or ferry crossings. Many of the original commercial buildings were constructed of frame, as this was the quickest and least expensive construction method. 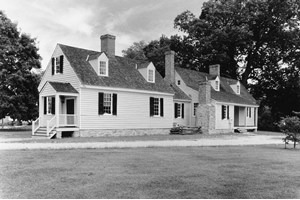 A number of early Virginia towns gave deadlines by which structures had to be built on newly laid-off lots, thus leading to dense development of highly flammable buildings. Ordinances then had to be passed regulating the style of chimneys and the composition of roofing material, for example, slate was generally more fire resistant than wood shingles. Not surprisingly, fire was of great concern in early Virginia towns, and it did occasionally take its toll on the picturesque 18th-century frame buildings that remained in some towns. After a destructive fire in the 1790s, brick Federal-style commercial buildings became popular in Lexington. 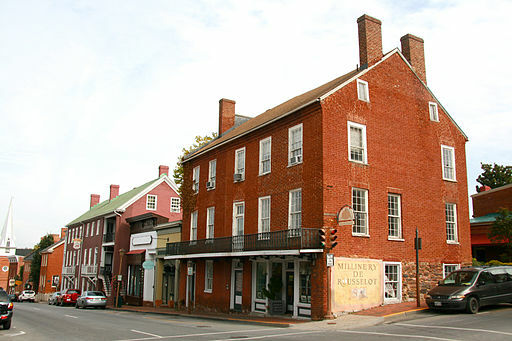 As the Virginia Main Street communities developed, there was a movement to begin building out of brick. Masonry structures were obviously more fire resistant, and they also conveyed the impression of permanence and success. 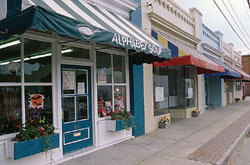 The core commercial district of a town quickly became the place to showcase new architecture, and the Greek Revival-style of the 1820s to 1850s, which is often considered to be the first truly American style, can be seen in stores, warehouses, mills, offices, courthouses and churches throughout the Main Street communities. A Greek Revival building can often be identified by its heavy stone lintels over windows and doors and porticos with pediments supported by various orders of columns. Most of these buildings used double-hung,or sometimes triple-hung, windows, usually with six panes of glass, or lights, per sash. 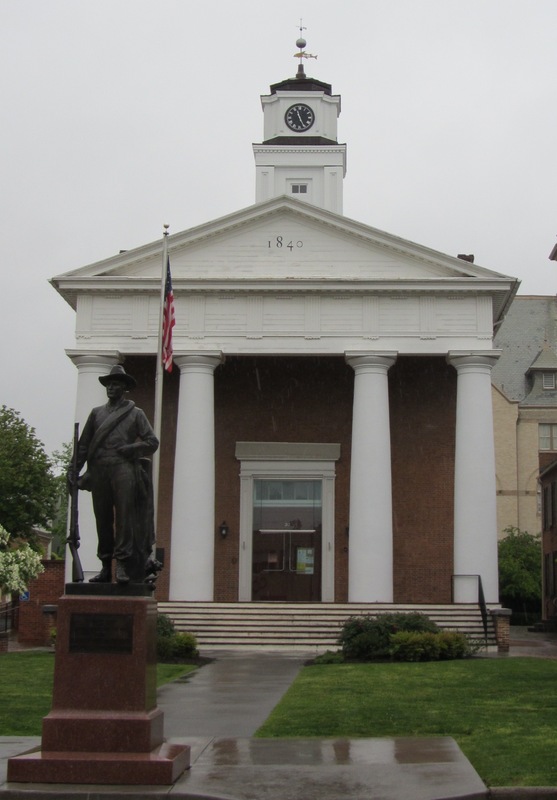 The Greek Revival former Frederick County Courthouse in Winchester. Photo credit: Joel Bradshaw via Wikimedia Commons. 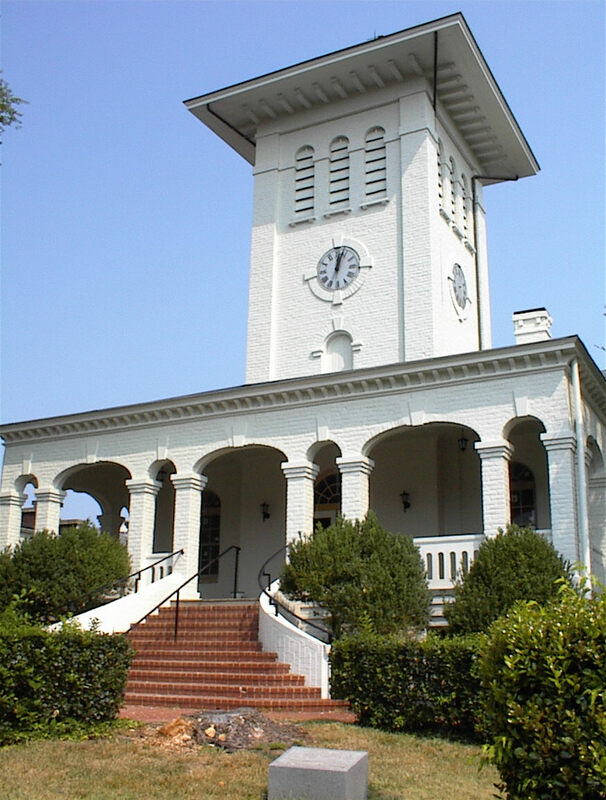 After the Civil War, the Italianate style began to take prominence in Virginia towns and influenced commercial architecture through the turn of the century. Commercial buildings in this style often carry much more subtle details than their residential counterparts. Early Italianate buildings featured widely overhanging eaves, bracketed cornices and sometimes towers or cupolas. An excellent example of this is the Orange County Courthouse, located in the town of Orange. Later in the 19th century, this style evolved into a form common in dense commercial business districts, and it shapes the overall look and feel of what today’s travelers see when they visit Virginia’s Main Street communities. These buildings, which often connect to one another, feature double-hung windows with two panes per sash, a storefront with display windows and an entry door (often in one unit) on the first floor and sets of three windows (or bays) on each upper floor. The cornice is generally constructed of wood and exhibits ornate brackets. Another common cornice detail consists of corbelled bricks, which are sometimes formed into triangular patterns. Later additions to Virginia’s commercial architecture include the Art Deco style, which was popular from the 1920s to 1940s, especially on government edifices, banks and theaters, and various “modern” styles that can be seen on banks and office buildings from the 1950s to 1970s. These buildings of the recent past, like their more quaint predecessors, are a sign of their times and are joining the ranks of historically significant buildings in Virginia’s commercial districts. Early 20th-century commercial buildings in Franklin.